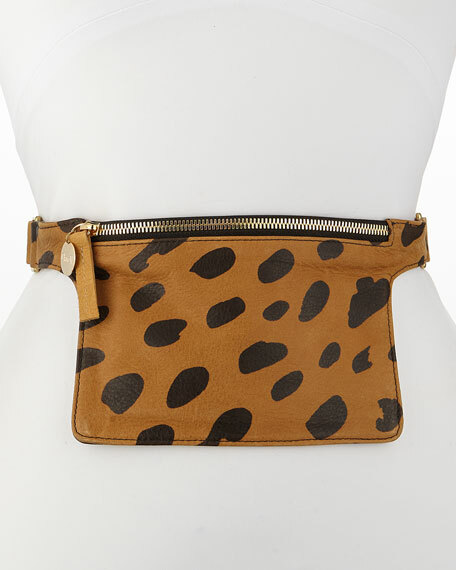 Clare V. embellishes the Supreme petite fanny pack with a jaguar print to give it an updated style. 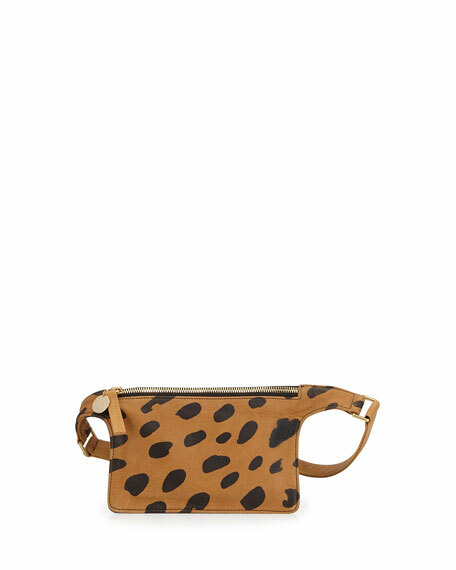 Clare V. tumbled leather fanny pack in jaguar print. Zip top with logo charm. 5"H x 7"W; bag weighs 5 oz. "Supreme" is made in USA of Italian materials.